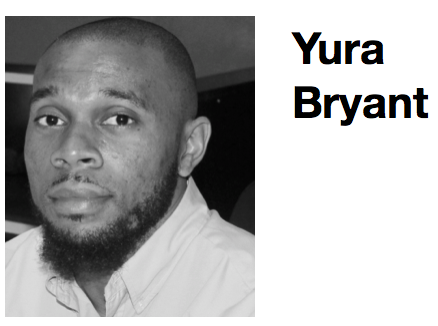 Entrepreneur Strategist and Founder of website entrepreneurialambitions.com Yura Bryant gives an insight into a sociological phenomenon that often escapes our minds. Groupthink... What is groupthink? Groupthink is defined as the practice of thinking or making decisions as a group in a way that discourages creativity or individual responsibility. 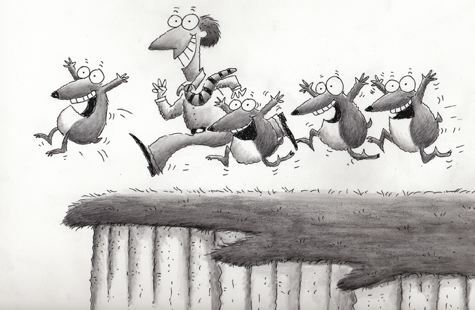 You could say groupthink is the key process which influences behaviour in mainstream society. It seems quite irrational to say when people are individuals, individuals who have the free will to produce their own thoughts. In actuality though, how free are we to form our own thoughts, when we are moulded from birth to listen to those who hold an authoritarian position over our development? Think about that completely for a moment. Your development over time occurred under the process of being domesticated by the thoughts and beliefs of others. The world around you became to reflect the perception of those who held influence over you. From family, to school, to friends; your lenses to view the world were tainted by other viewpoints that formed "your" opinion. As this continues over time, you seek to have your opinion of the world validated by others because you need the acknowledgement of group approval. Take, for instance, the power of social media. Social media platforms are widely used today as a means of communication and for gathering information. One of the most powerful aspects of social media is how a piece of information can be shared with millions of people in a matter of a few hours. But let's backtrack. What is the popular subject in mainstream society, it gets this special treatment, it is put on this pedestal of being ‘trending’ or being the ‘latest news’. What is not so popular gets the silent treatment. A study by Pew Research Centre found that, people refuse to talk about a controversial topic, unless a majority of the their peers agree with their views. That means people are unwilling to engage in open opinion, for fear that they will be persecuted for their thoughts. If we were to analyse it for what it really is; groupthink is the movement to suppress original thought which can harm the status quo in place. There is a need to stifle opposing thoughts because allowing them to flow freely can lead to dissent and chaos. Going off that conclusion; is it safe to say that the very fragile fabric that holds the United States together is dependent on the power of groupthink? That answer seems to already be illustrated for you by examining everyday society. If a nation was truly operated under freewill; hundreds of small fractions in society would be at constant war with one another to control and rule supremely. But wait... Does this not already occur within the world we live within? Yes, it does. That is why the power of groupthink resides in the ability to gain control of the majority so that the minority can be labeled as unruly and troubled. Now is this causing you to question your perception of your reality? Your society around you controls your views and opinions, but when given the ability to think and process without distractions, new realisations slowly take form. This presents major problems if this behaviour becomes widespread. Thus you are consistently bombarded with distractions which blocks your ability to think freely without bias. The majority of society is controlled by some form of groupthink. We all circle around specific ideas, evolving movements and issues that resonate with our manufactured beliefs. But do the majority of people know how to subdue groupthink perception in favour of rational analysis? Groupthink is a danger in modern society, because it develops people who lack the ability to apply common sense in their daily interactions. Groupthink is a double edged sword. It has the ability to suppress opposing forces but it also has the ability to lead its sheep to the slaughter. Be careful of what you allow yourself to believe as truth because it becomes a dictating force in your life. Opinions expressed in this article are those of the author. How Does North Korea Make Money? What Happened To Freddos Being 10p? (Part One). Why Is It So Expensive To Live In London? 7 Shocking Facts about Economic Inequality in the USA. The Great Penny Debate Part I: Why Pennies Should Be Kept. Keep up to date with Poponomics!